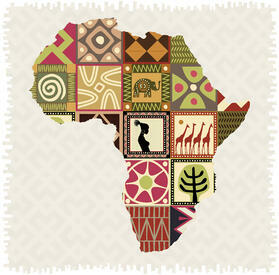 Africa - frontier markets...but an export opportunity too far? Has anyone else heard about enough regarding the enormous and soon to be realized sales opportunity for American companies in China? Seriously. I understand the draw. Theoretically it's an enormous opportunity, both in population and disposable income. And clearly there is wealth being made and spent. But for a typical SMB, the challenge of penetrating the market, becoming established and realizing profitable sales is difficult to overcome. It's a mirage. "OK" you say...."but what's the alternative?" Fair question, but there we bump into a problem. I've written before, including recently, about the "mindset" challenge that companies often encounter when it comes to building a strategic global business development program. Overcoming the mindset hurdle to exporting is legitimately a big accomplishment. So now I hesitate....because the alternative to the Chinese and general BRIC mirage may be just a bit too much even for those adventurous companies willing to consider exporting. Companies should be looking to Africa for growth opportunities today. So if export itself doesn't freak you out, and the idea of Africa as a target market opportunity doesn't put you over the edge, then let's dig into why it might make sense. First, if you prefer a quick video to a quick read, here you go. Remember that this is a continent, not a country. So the conditions vary enormously over the vast geographic expanse, just as they do between culturally and ethnically diverse areas. But in general there are some compelling reasons to consider Africa as an export growth target. In fact the BBC has decided to launch a new Africa Business Report. The justification? "BBC Global Business editor, Peter Eustace said: 'The BBC has a long history of reporting to audiences across Africa and along with the daily newscast Focus on Africa, Africa Business Report will continue that tradition. Africa is thriving, and not only does it host some of the fastest growing economies in the world, but it is also leading the way in a range of technology developments.'" How often are do you hear 'thriving' in the context of other markets these days? It's a pretty short list.....as in NONE! Is it without challenges? Of course not. Corruption is an issue (as in every market), infrastructure is often inadequate and sales channel can be frustrating. But is frustration the yardstick for the business challenges you are willing to embrace? Presumably not. If you are intent on growing and willing to be in the rarefied group of American SMBs that are embracing frontier markets rather than get bogged down in slowing emerging markets, then Africa must be on your radar.